Free Wheels Onlus will be at “Fa’ La Cosa Giusta 2018” to present the Way of St Benedict, a project developed under OpenUpRoutes! 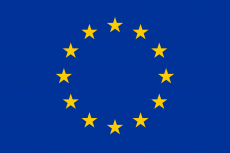 – OpenUpRoutes! Following the same working method employed three years ago for the guide book “Santiago for All” published by Terre di Mezzo, a study of accessibility was carried out on a fully asphalted route with a maximum gradient of 15%. The route covers the most important places in the life of the patron saint of Europe as mentioned in the guide book “The Way of St Benedict” by Simone Frignani. 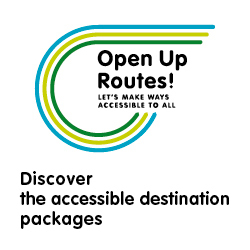 Tracks and points of interest can be obtained addressing the website www.openuproutes.eu or visiting the stand of FreeWheelsOnlus, an association that has been ever since committed to make European religious and cultural routes universally usable. A guide book is still missing…..but who knows? Maybe it is work already in progress. Come and find out at “Fa la Cosa Giusta 2018” Fiera Milano City. ⟵Exhibitions in which the OpenUpRoutes project was presented!